Want to learn more about documenting the history of your congregation or preserving its records? 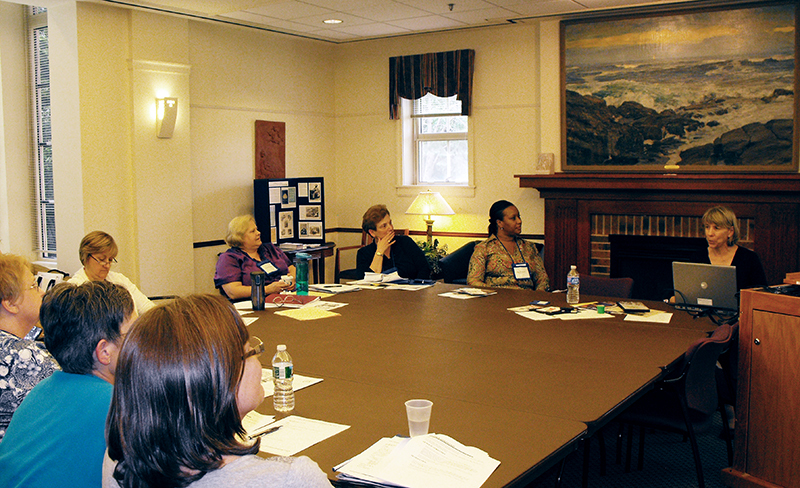 The Presbyterian Historical Society offers workshops at select Presbyterian training events. Workshops cover topics such as managing and preserving records and disaster planning and response. Please contact us for more information about hosting a society staff member for a training event in your area. We also offer presentations on doing genealogy research at the society.